We’ve been breaking down our list of 16 classic fashion icons everyone should know. Last week, we covered Audrey Hepburn, the actress and humanitarian who stole our hearts on and off-screen. This week, it’s all about a totally different figure, the American icon Jackie O! Jackie’s life was totally fascinating, and there are so many accomplishments we could cover. Be sure to check out our sources at the end for more on the legendary Mrs. Kennedy. To find out some amazing facts about her upbringing, First Lady career, life post-White House, and how you can dress like one of the best-dressed women in American history, keep reading! Though we all know her as Jackie O, Jacqueline Lee Bouvier was born in 1929 in Southampton, New York. As a kid, she was a skilled equestrian and won numerous national competitions. She started riding when she was just a year old! She graduated from George Washington University and started working as a reporter. Jackie was an incredible writer and worked in the field on and off her entire life. When she died, she was working as a book editor at a publishing company. She was married twice in her life. First to President John F. Kennedy, and second to Aristotle Onassis, one of the wealthiest men in the world at the time. As a First Lady, Jackie strived to be a patron of the arts, often hosting events at the White House to showcase different kinds of artists. Her most famous accomplishment was restoring the White House and the subsequent filmed-for-TV tour she gave (for which she won an Emmy). She let the American people have access to the White House and all of its history, no matter where they lived. Jackie was devoted to preserving and displaying American history. After President Kennedy’s assassination, she soon began work on the John F. Kennedy Presidential Library and Memorial. Jacqueline Kennedy was one of the most accomplished First Ladies in history. Her grace and intelligence captured the public’s hearts, but we can’t forget about her sense of style, which totally revamped the fashion scene in the ’60s. People obsessed over Mrs. Kennedy’s fashions. She always dressed in sophisticated, exquisite ensembles that demonstrated the elegance, class, and glamour that’s been associated with the Kennedy family ever since. Jackie knew the power of basics. She often wore standard pieces you already own, like a button-down blouse with a nice skirt (mind you, for her this was casual!) and classic pumps. As a socialite and political figure, she was one of the most-watched women in the world. Jackie was well aware of this and always dressed the part. What’s great about this look is that not only is it put-together and classy, it’s also super comfortable. Jackie needed outfits she could work in, as she worked throughout her entire life! 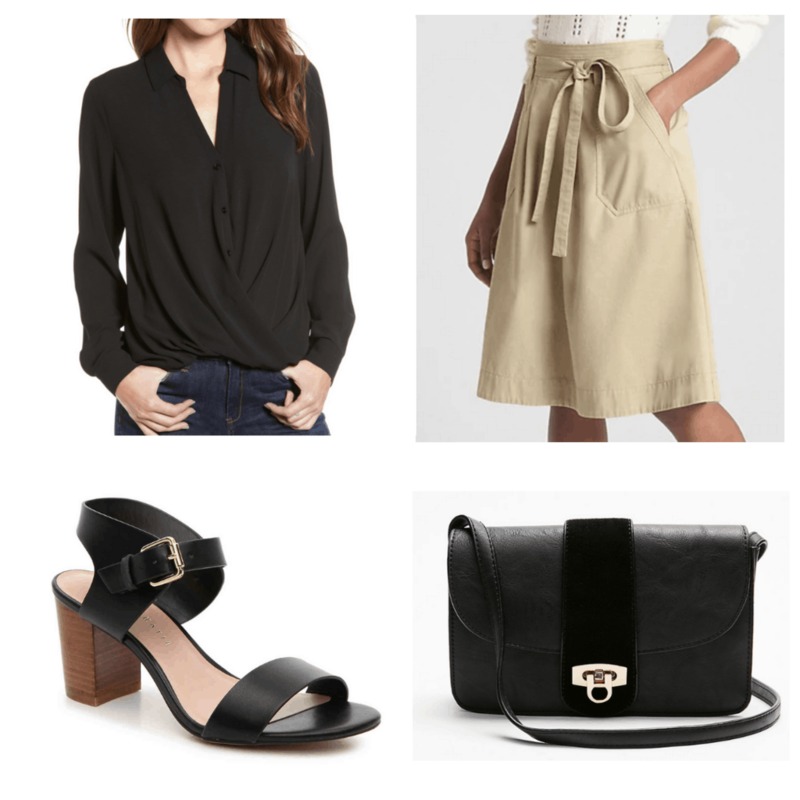 A loose skirt like this one looks more done-up than a pair of khaki trousers, but is still easy to walk around in without being worried about it moving up. Find a button down made of light fabric for total ease of mobility and pair it with some block heels, the cutest and most comfy of all heels. 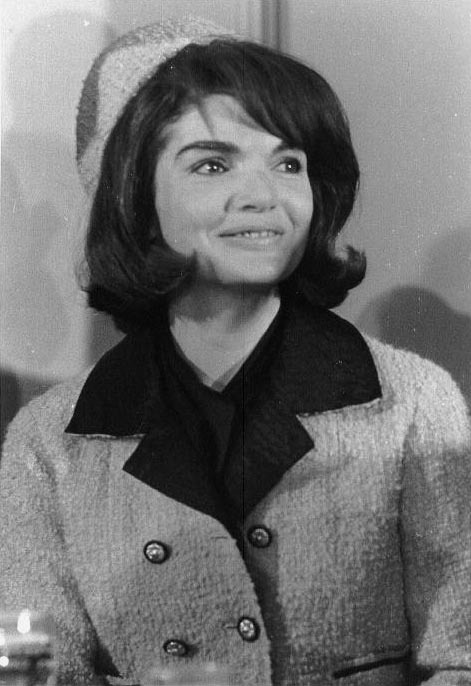 Many fashion devotees (myself included) believe Jackie was the most fashionable woman in American history. Back in the ’60s, she had the most fantastic jacket-dresses and skirt suits. She was a symbol of excellence that women across the globe looked up to. She dressed modestly and stylishly at all times, which means her look is still just as glamorous and iconic as it was then. While a matching tweed jacket and skirt may not be the most modern thing for a young woman to sport today, you can definitely imitate the professionalism of Jackie’s looks with something like the outfit below. Trench coats were a go-to for Jackie O. 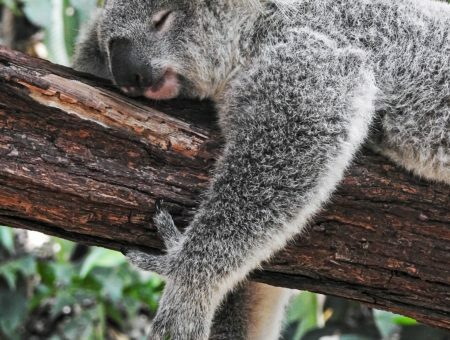 You can invest in a pricier one and it’ll last you for ages, but don’t worry if that’s not an option right now! 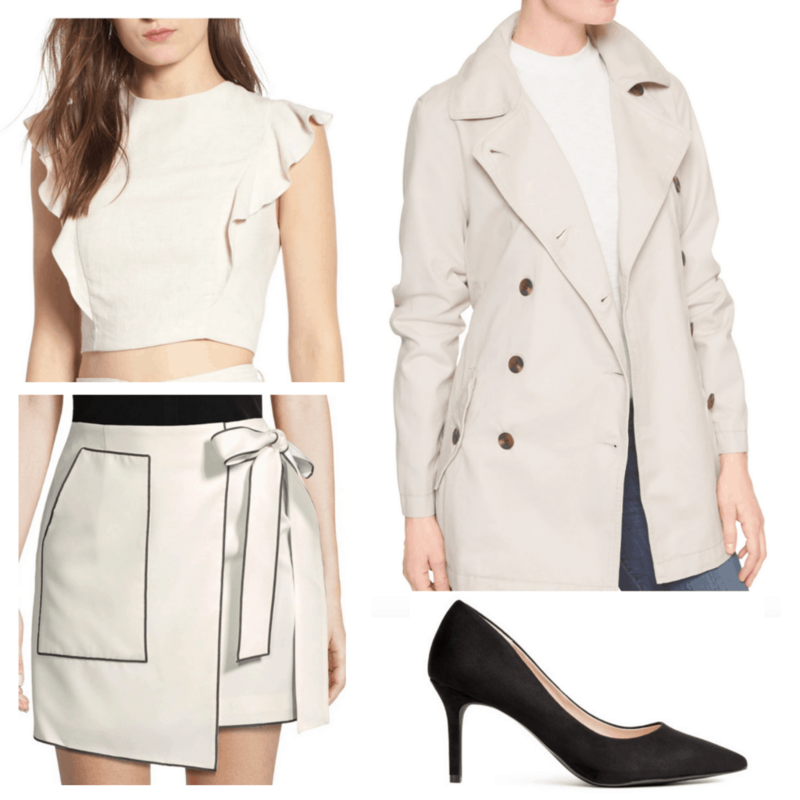 There are plenty of cute, short trenches that are well within a college girl’s budget. Putting together a nice, matching skirt and top will channel Jacqueline’s grace in a more youthful way. Go for classic color combos, like white and navy. Another color Jackie donned often was pastel pink. You wouldn’t catch her in neons or loud prints, so stick with softer prints if you want to stay true to Mrs. Kennedy’s flair. But as always, don’t be afraid to make it your own. More than anything, Jackie popularized a couple of different silhouettes and shapes, from the suit sets to the belted waistlines. Will you be channeling Jackie O? Whether you’re a fan of her grace and dedication to the country, her timeless and trendsetting style, or a bit of it all, let us know in the comments!